Happy Wednesday! 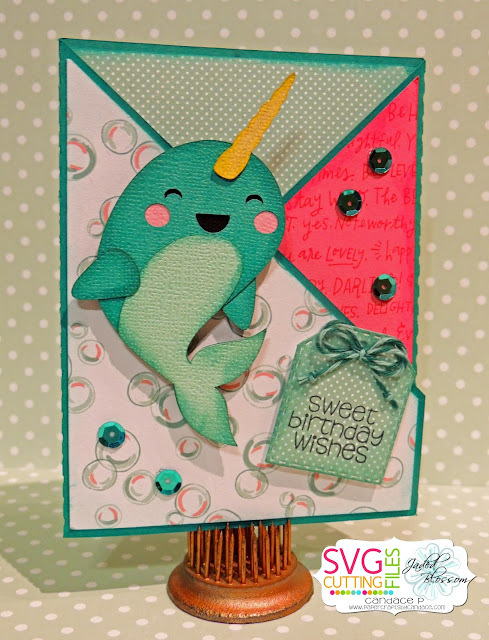 Candace here and today I a sharing with you a new card design from SVG Cutting Files! I LOVE this new criss cross card. It's fun how you can add different patterned papers together and create an awesome look. Here is the card that I made for my niece for her birthday. This card base will be available on Friday over at SVG Cutting Files. I also used the Narwhal file, isnt it adorable!? LOVE this!! so darn cute!